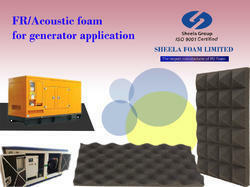 We, Sheela Foam Limited, offer specially made sound absorption/acoustic polyurethane foam. 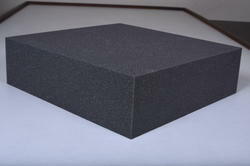 This light weight P.U Foam is a high performance sound barrier and meets self extinguishing fire rating as per UL-94. 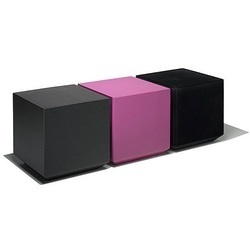 The different product combinations efficiently handles low, mid and high frequency ranges of sound energy. 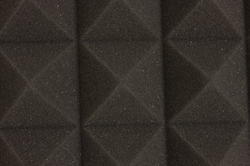 to attain higher efficiency levels. 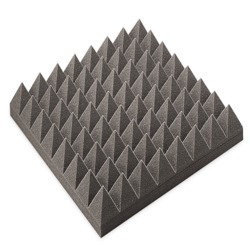 These forms are specialty made for special application wherein fire retardancy and sound absorption characteristics are required. 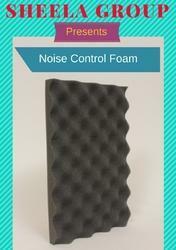 The foam has NRC (Noise Reduction Co-efficient) value of 0.8. 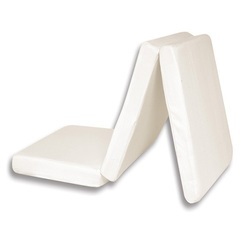 This can be easily glued to other materials such as non-woven fabric, glass fiber, sun mica, gypsum sheet etc. by means of glue. 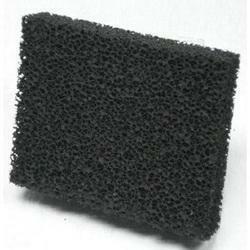 This foam can also be supplied in profiled sheet form. 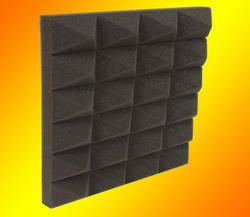 This light weight P.U Foam is a high performance sound barrier and meets self extinguishing fire rating as per UL-94 .The different product combinations efficiently handle low ,mid and high frequency ranges of sound energy. 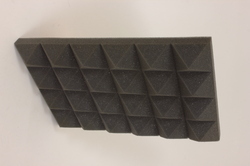 Specially made for applications where fire retardant and sound absorption characters are required ,it is convoluted in various shapes to attain higher efficiency levels. 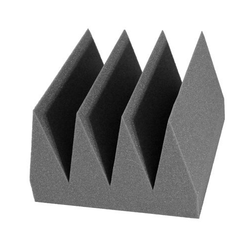 These forms are specialty made for special application wherein fire retardant and sound absorption characteristics are required. 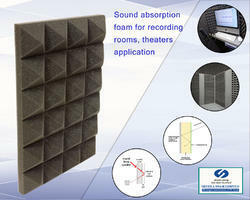 The foam has NRC (Noise Reduction Co-efficient) value of 0.8. 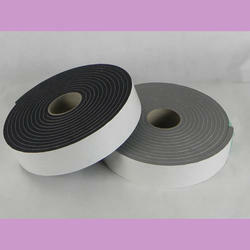 This can be easily glued to other material such as non-woven fabric., glass fiber, sun mica, gypsum sheet etc. by means of glue. 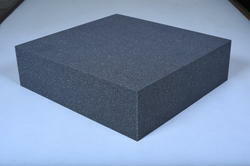 This foam can also be supplied in profiled sheet form.